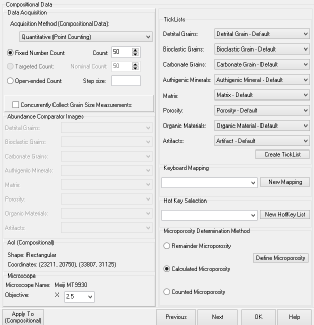 Compositional data can be acquired through either estimation, based on visual estimation charts, or quantitatively, through the point- counting (modal analysis) interface. 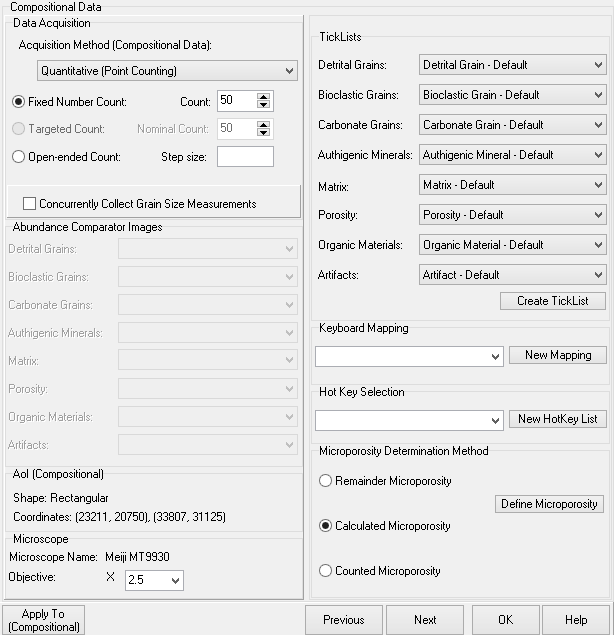 The number of points in a count can be specified at the petrographers discretion, which will then populate the Area of Interest with points, distributed in a grid system. Each data in these classes may be fully customised as TickLists and/or HotKeys. In addition Keyboard mapping schemes can be implemented to assign compositions to the individual keys of a Keyboard.